Alfred P. Sloan Foundation renews BioBE funding! 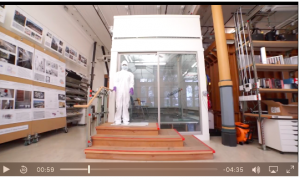 There is a new Youtube Video out from Science Friday today featuring the BioBE Center at the University of Oregon. From the BioBE Center … What sorts of bacteria did we find in a university classroom? from BioBE Center on Vimeo. Love this, from Ashley Bateman and the BioBE Center.